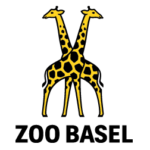 Any keen observer visiting a zoo or circus has noticed behavioral disorders and stereotypical behavior in different kinds of animals: chimps tearing out their own fur as well as that of their young; parrots and swans more interested in their keepers than in their own kind; giraffes and camels licking a particular spot of the fence; emus, rheas and ostriches pacing along the edge of their enclosure; predators circling their cages and, finally, elephants rhythmically moving their head from side to side. 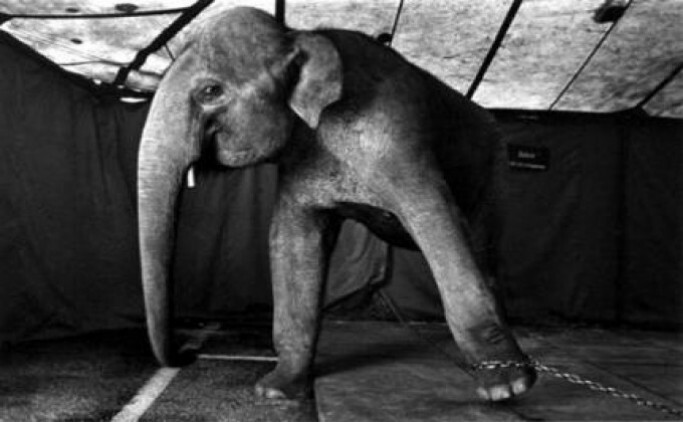 To many zoo and circus visitors, an elephant moving its body or its head from side to side appears entirely normal. Adults explain to their children that this is the elephant’s way of dancing. 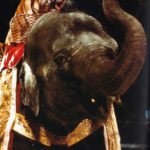 There are even circus directors who tell their public that elephants have to sway in time with their heartbeat while they doze and that the movement has a calming effect on them. However, this stereotypical behavior is not part of an elephant’s natural range of behaviors. In the wild, elephants never have time to develop stereotypical behavior, since they totally preoccupied with everyday survival. How do you call this swaying from side to side? The elephant keepers call these stereotypical movements “weaving”. Elephants know a variety of different types of weaving. There are zoo and circus elephants that only sway very gently from side to side or forwards and backwards, without lifting their feet. Others have a ground-covering weave, legs spread, accompanied by a swaying of the trunk. There are even some elephants that display a rapid circling of the head or that alternately take a step forward and back again. What are the reasons for stereotypical behavior in elephants? If, for instance, an elephant seeks physical contact to another elephant and is prevented from doing so due to being chained up, it may react by displaying stereotypical behavior. The elephant will begin weaving and will continue to do so until it has reached its goal, i.e. 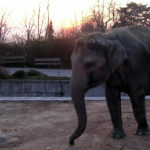 until it is able to touch the other elephant, or until distracted by a new stimulus. If it is not allowed to satisfy this key stimulus either, the circle of disappointment begins again and the elephant may degenerate to a sad, frustrated creature. The healthy appearance and the natural behavior of elephants is usually a clear indication that their needs are being met. 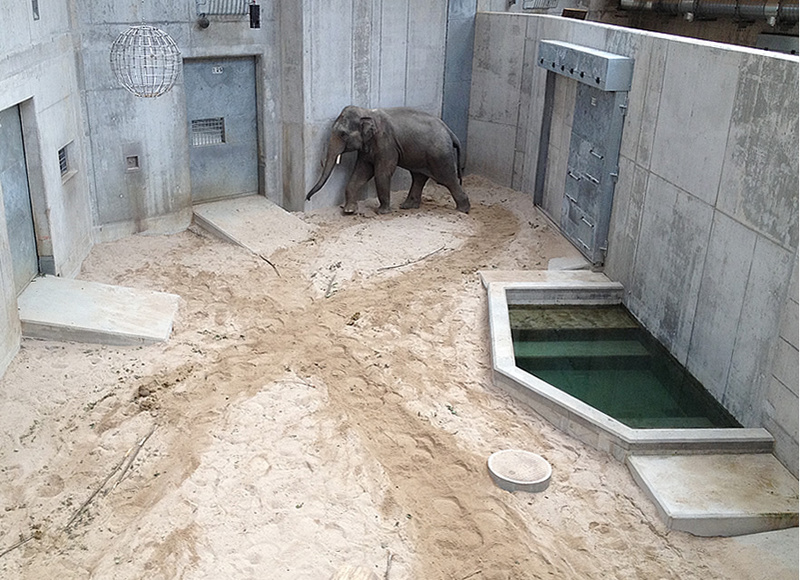 Aberrant behavior patterns in zoo and circus elephants can also be the effect of an environment that does not challenge them to keep active or where there is a lack of stimuli. 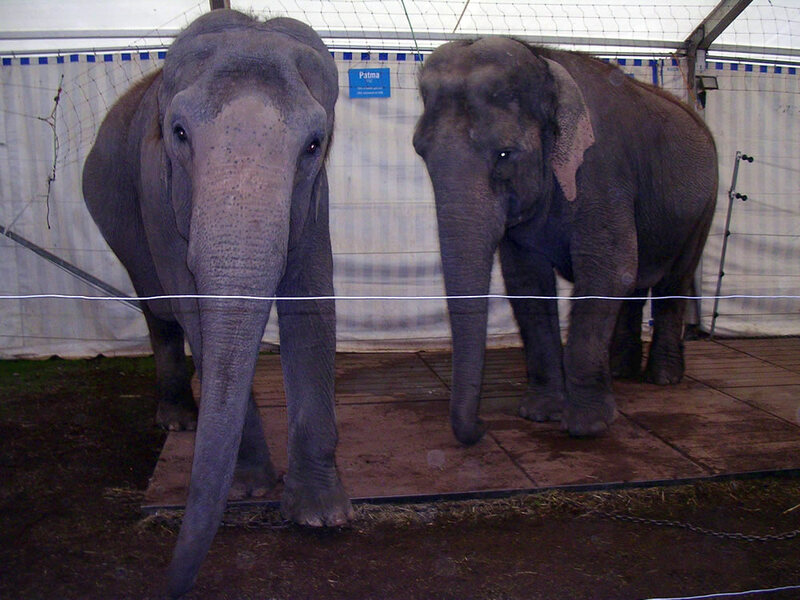 Elephants in zoos and circuses lack the everyday challenges of life in the wild. Avoiding predators and the search for food and water are key stimuli which do not exist in zoos or in the circus. This is why it is important to keep elephants busy in an appropriate manner and to provide them with a sense of achievement. Will elephants stop weaving if they are kept occupied? Even if elephants are supplied with fresh branches, hay and suitable toys by their keepers, most elephants, especially older ones, will take up weaving again and again. If an elephant has got into the habit of weaving at one stage or another of its life, it will be almost impossible for it to stop altogether. Just like an addiction, stereotypical behavior will catch up with the elephant. In fact, the habit might also be picked up by other elephants. When their food is being prepared in the evening, the elephants will weave while waiting for the elephant keepers to open the gate. At such times, the elephants can be seen to behave not unlike people waiting for dinner at a restaurant or a train at the railway station. Can weaving be harmful to elephants? Despite the fact that stereotypical behavior such as weaving does not constitute normal behavior for an elephant, weaving is not directly harmful. In the long term, however, the continual rocking movement may affect an elephant’s joints, the soles of its feet and its toenails. Still, weaving is a surrogate activity caused by boredom, frustration and desolation. It should be in the interest of every elephant owner to offer to his or her animals an interesting and varied life that is appropriate to the species. Thank you very much for the comment! I was not aware that elephants also live in Brazil. I strongly feel elephants should no longer be kept in zoos. We humans have selfishly kept them there, and used all kinds of excuses to do so. We can now educate ourselves other ways – schools, internet etc. and importantly watch their natural behaviour in sanctuaries where they have 24/7 care; where they have freedom of choice in how to spend their day, space to roam and browse, other herd members to interact with, and can wallow in mud, use dust/sand/soil for their skin, and have a dip in a pond or lake when desired. These places could also be used for breeding purposes if necessary. Zoos often do their best, but now we know it’s not enough. Their bottom line is to make money, and really intelligent creatures such as elephants and apes should be cared for in a much better environment. We also have to battle to stop elephants being used in logging, trekking and particularly in temples in Asia. Ironically it’s the temple elephants who suffer most.